If you’re a small business owner, there’s a strong likelihood that many of your customers are on Instagram. This means it’s a great place for you to reach your supporters, and ensure that your brand stays top of mind. But even if your business has an Instagram account, how will you know if you’re getting the most out of the platform? Fortunately for you, a new tool is soon becoming available for small business owners in your shoes. 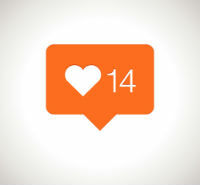 SocialRank analytics for Instagram can help you evaluate the effectiveness of your Instagram activity, and provide you with insights on how to get more out of the social network. Here’s additional information about SocialRank and how start benefiting from it. Founded in 2014, SocialRank is a company that analyzes social media statistics to help businesses and individuals learn more about their followers. SocialRank has a user-friendly Web app that, when linked with your Twitter profile, gathers information about your followers to help you find their commonalities and differences, By having more information about those engaged with your brand, you can easily find, sort, and segment your followers, to help you deliver targeted information based on their interests or demographics. Since its inception, the tool has only worked with the Twitter platform. But things are about to change now that SocialRank Instagram analytics are on their way. Looking for help launching your online business? Check out these SMB website builders and get started today. How Does SocialRank Work with Instagram? Similar to how its Twitter product works, you can let SocialRank review your Instagram account and sort your followers based on a variety of metrics including reach, location, engagement level, etc. After SocialRank has done this, you have the ability to quickly identify your most valuable, most engaged, and most followed followers. Having information like this at your fingertips can dramatically boost your bottom line by helping you deliver targeted messages to your most-valued brand ambassadors. request early access to SocialRank for Instagram today, and start benefiting from the insights it has to share. Social media profiles aren’t enough for your business. Learn more about the best free SMB website builders to create a digital domain that you fully control.